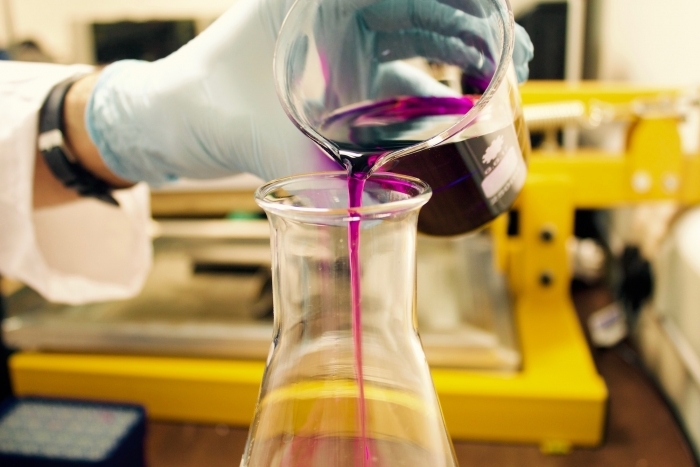 This highly interactive course covers the complete first semester of General Chemistry. 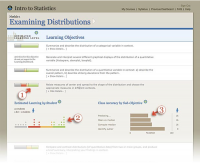 It includes extensive and engaging practice for students including: problems with detailed feedback, adaptive exercises, simulations, interactive examples, virtual lab activities and more all integrated together in a seamless flow. 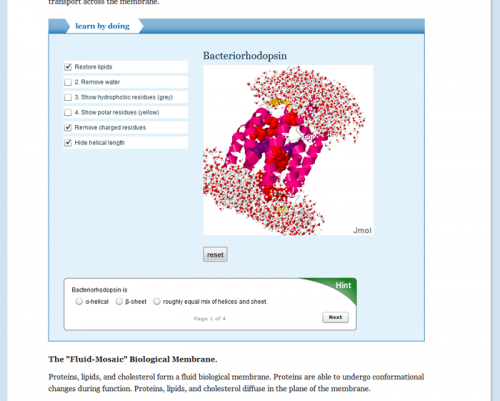 This course is intended for Majors and is adapted from OpenStax Chemistry with many additions and modifications including: activities with PHeT simulations; problem sets that revolve around a real-world scenarios; interactive examples; simulations, instructor-led videos demonstrating problem solving methods; animations; and more. The course is highly interactive and engaging, designed in a logical flow that transitions smoothly between small amounts of expository text, worked examples, activities, interactives, simulations, and other media. 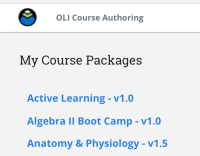 Adhering to OLI philosophy, this course provides immediate and detailed feedback for its many formative assessment activities, appropriate scaffolding, and clearly aligned learning objectives. General Chemistry 1 covers all content typically covered in the first semester of a college course. Classify matter as element, compound, or mixtures. Describe the four states of matter. Recognize physical and chemical changes and properties. Convert among the temperature scales of Fahrenheit, Celsius, and Kelvin. Convert units using dimensional analysis. Determine the accuracy and precision of sets of data. Record measurements and calculations using the correct number of significant figures. Use the International System of Units for measurements. Describe the contributions of John Dalton to modern atomic theory. Describe the evolution of the atomic theory. Apply the concepts of isotopes and their percent abundance to make calculations associated with atomic mass. Describe how chemical bonds form. Describe the arrangement of the periodic table of elements. Distinguish between molecular and ionic compounds. Interpret chemical symbols for isotopes and ions. Write chemical formulas for compounds. Calculate the percent composition of a compound. Convert amounts of substances among moles, particles, and mass. Determine formulas for empirical and molecular formulas. Apply concepts of mass percentage, volume percentage, parts per million, and parts per billion. Calculate concentrations of solutions that involve molarity. Represent chemical reactions with chemical equations. 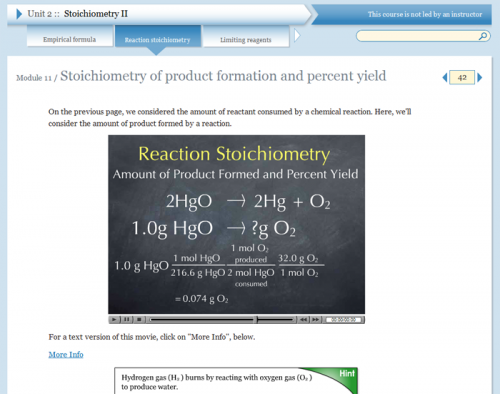 Apply stoichiometric relationships to calculate amounts of substances involved in chemical reactions. Calculate the percent yield of a chemical reaction. Identify limiting reactants in chemical reactions. Calculate pressure, temperature, volume, or amount of gas by applying the appropriate gas law. Make calculations involving gas pressure as it relates to the measurement of gas pressure. Apply combined concepts of stoichiometry and the ideal gas law to calculate the amounts of substances in a chemical reaction. Apply Dalton’s law of partial pressures. Describe the relationship between molecular velocities, kinetic energy, and molar mass of gases. Describe the relationship between the kinetic molecular theory and the gas laws. Explain the differences between ideal gases and real gases. Calculate internal energy for processes and explain its classification as a state function. Describe the nature of energy changes that accompany chemical and physical changes. Calculate heat transferred in chemical and physical processes. Distinguish the related properties of heat, thermal energy, and temperature. Calculate enthalpy changes for various chemical reactions. Describe the particle nature of light. Describe the wave nature of light. Describe the general idea of the quantum mechanical model of the atom. List and describe traits of the four quantum numbers that form the basis for completely specifying the state of an electron in an atom. Write electron configurations for elements and identify valence electrons from them. Describe and distinguish between ionization energy and electron affinity. Describe and explain the observed periodic trends of atomic and ionic size. Assess the polarity of covalent bonds. Draw Lewis structures depicting the bonding in molecules. Explain the concept of resonance and draw Lewis structures representing resonance forms for a given molecule. Use average covalent bond energies to estimate enthalpies of reactions. Use formal charges to identify the most reasonable Lewis structure for a given molecule. Assess the polarity of a molecule based on its bonding and structure. Predict the structures of small molecules using valence shell electron pair repulsion (VSEPR) theory. Apply the concept of Covalent Bond Theory to describe covalent bonds in molecules. Apply the concept of hybridization to describe covalent bonds. Describe the roles of intermolecular attractive forces in viscosity, surface tension, and capillary rise. Describe the types of intermolecular forces possible between atoms or molecules in condensed phases. Identify the types of intermolecular forces experienced by specific molecules based on their structures. 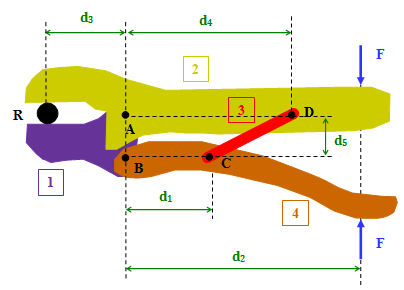 Describe the processes represented by typical heating and cooling curves, and compute heat flows and enthalpy changes accompanying these processes. Explain the relation between phase transition temperatures and intermolecular attractive forces. Use phase diagrams to identify stable phases at given temperatures and pressures, and to describe phase transitions resulting from changes in these properties. Define and describe the bonding and properties of ionic, molecular, metallic, and covalent network crystalline solids. Describe the basic properties of solutions and how they form. Describe the solubility of gases, liquids, and solids in liquids. Explain solute-solvent interactions of ionic and covalent electrolytes. Express concentrations of solution components using mole fraction and molality. Perform calculations using the mathematical equations that describe various colligative effects. Adapted from OpenStax Chemistry by Sandra Raysor with contributions from David Yaron and Mark Blaser.